16 September 1943: Keel laid by the Bethlehem Steel (Fore River Yard) Shipyard, Inc., Quincy, Mass. 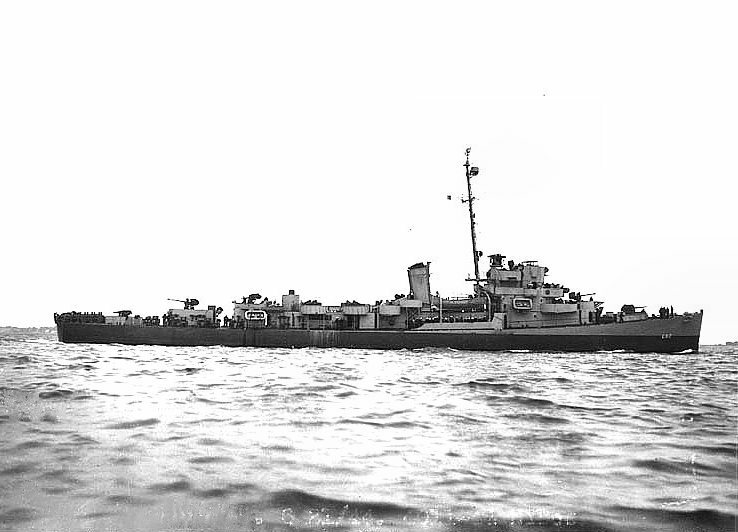 24 July 1945: Sunk by a Japanese "Kaiten Torpedo" off Luzon. 112 crewmen were lost with the ship. 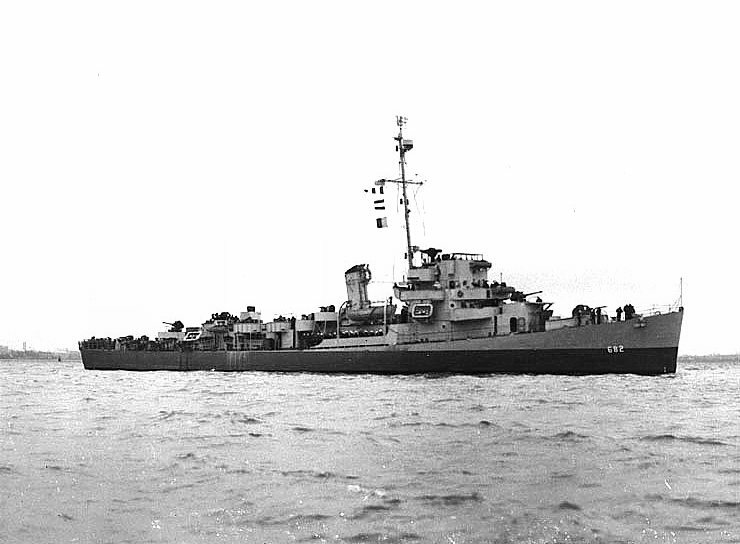 236k circa 1944: the Pacific Ocean - USS Underhill (DE 682) underway in dazzle paint. 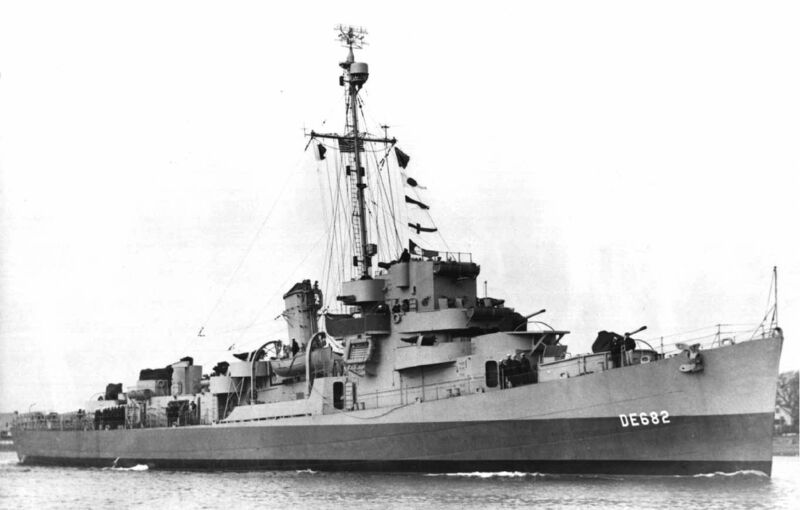 View the USS Underhill (DE 682) DANFS history entry located on the Naval History and Heritage Command web site. 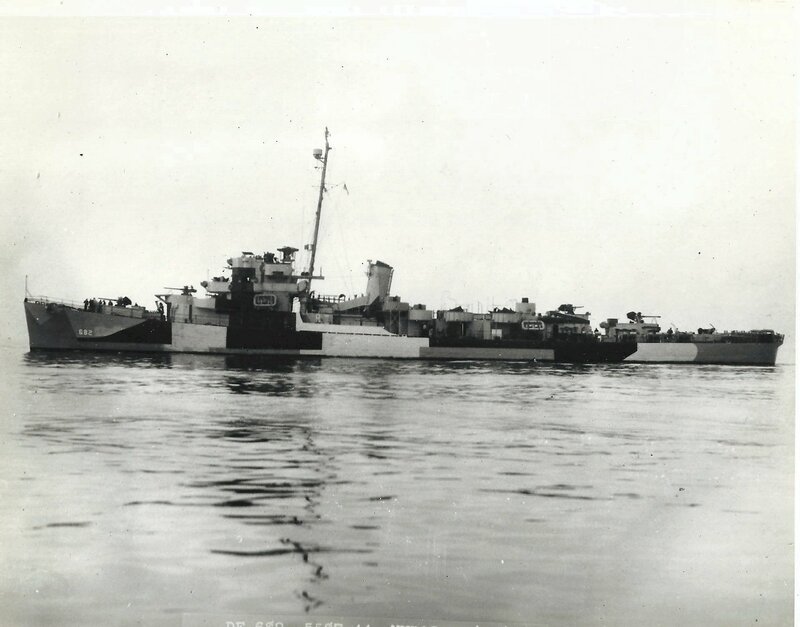 View the official Loss Report of USS Underhill as submitted by the CO of USS LST-647.